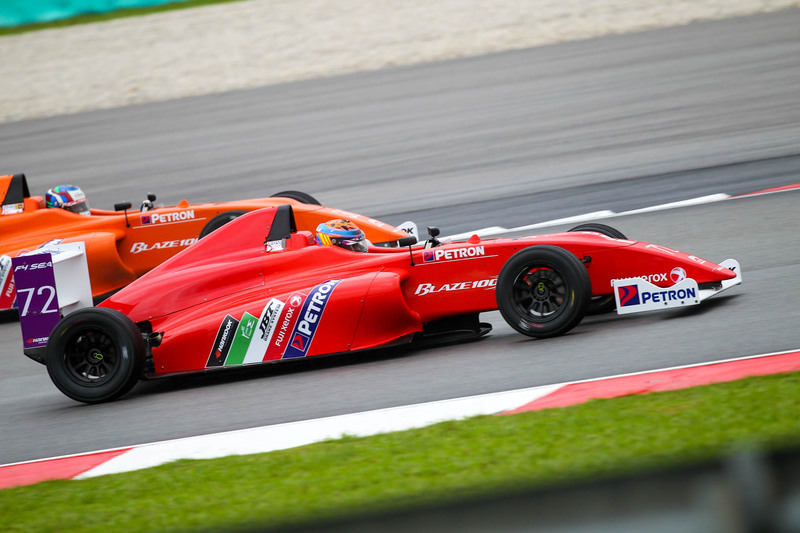 Chennai, August 31: The Formula 4 South-East Asia Championship made its debut in India as the FIA-homologated cars had the first feel of the MMRT circuit here on Friday with the drivers enjoying the experience of racing on the “very difficult and technical track”. Also making its India debut was the Caterham Asia championship whose cars went through a couple of test sessions in the afternoon with the track again receiving the thumbs up from the drivers. Two rounds of the F4 SEA Championship at the MMRT will be run over two weekends of September 1-2 and September 8-9. Each round comprises three races. The Caterham Asia Championship will be run concurrently on both the weekends with two races in each round. The only Indian in Caterham Championship is former FMSCI president Vicky Chandhok who is participating as a guest driver. “I am getting into a proper racing car for the first time since 1993 on invitation from Campbell (Tupling), the CEO of Caterham Asia. It is also the first time I am getting into a Caterham car,” said 62-year old Chandhok who, incidentally, was the second quickest in both the test sessions today. Campbell said: “It is fabulous to have Vicky Chandhok racing with us. He seems to be enjoying himself. Chennai, August 31: International rider Sarath Kumar (Idemitsu Honda Ten10 Racing) turned on the power to grab his maiden pole position in the premier Super Sport (165cc) class to kick-start his campaign in the third round of the MRF MMSC fmsci Indian National Motorcycle Racing Championship at the MMRT, here on Friday. 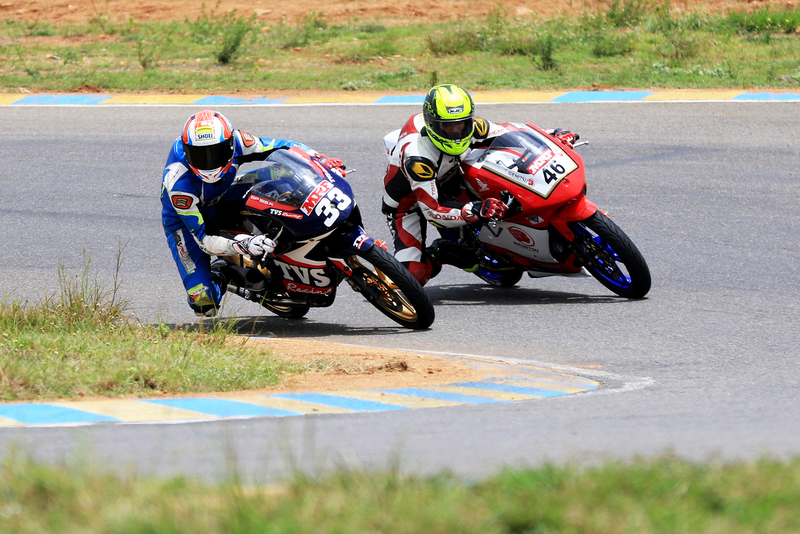 In the process, Sarath, fourth in the championship, upstaged his two arch-rivals from TVS Racing KY Ahamed and defending champion Jagan Kumar, with a flying lap of 01min, 55.506secs, but just two-tenths of a second separated the trio. 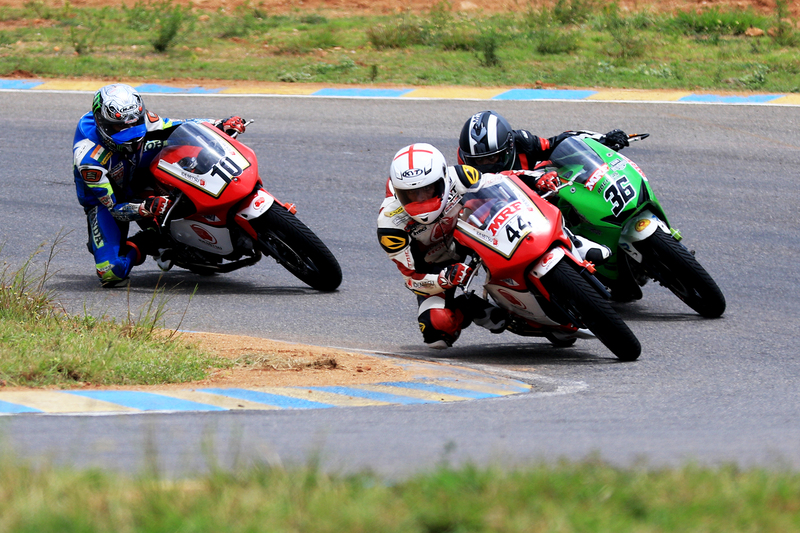 Championship leader and another Honda rider Rajiv Sethu was placed fifth behind TVS Racing’s Deepak Ravikumar. The quickest rider on the day was Prabhu Arunagiri (Team Alisha Abdullah) who took the pole position in the Pro-Stock (301-400cc) category, with a best lap of 01:54.808 ahead of the top two in this class, Gusto Racing India team-mates Satyanarayana Raju (01:55.141) and Amarnath Menon (01:55.634). Incidentally, it was Arunagiri’s first pole position in any category in six years. Mithun Kumar of Idemitsu Honda Ten10 Racing, with just 21 points from four starts this season, finally made his presence felt by qualifying for pole position in the Pro-Stock 165cc class that was run on MRF slick tyres for the first time. Completing the front row were Kevin Kannan (Rockers Racing) and championship leader in this class, Anish Shetty (Idemitsu Honda Ten10 Racing). Chennai, August 30: More exciting times ahead at the iconic MMRT with the Madras Motor Sports Club hosting two rounds of the FIA Formula 4 South East Asia Championship and the Caterham Motorsport Championship (Asia) over back-to-back weekends of August 31-September 2 and September 7-9. The Formula 4 SEA Championship, now in the third season, is part of the global series. The overall champion at the end of the 24 races spread over eight rounds in Malaysia, Thailand and India, earns 12 FIA Super License points. The Caterham Championship (Asia) is a by-product of the UK series and aims to provide access to drivers in the region. It is open to anyone with a National C or higher licence and offers arrive-and-drive package for those looking for an introduction to motorsport. 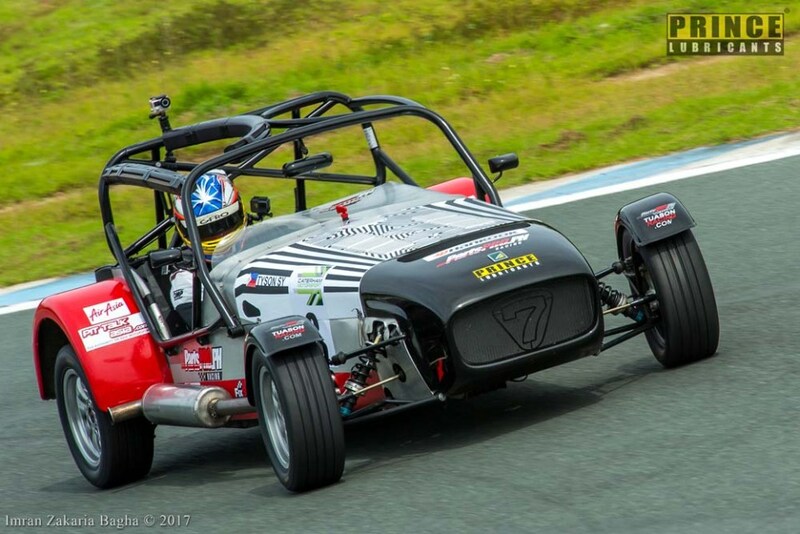 The Caterham lightweight (530 kg) race-proven Series V factory-built race car is the most raced car in the world and gives drivers of any age and skill the most exciting and affordable racing in Asia. Chennai, Aug 19: Hemant Muddappa from Bengaluru yet again scored a triple in the MMSC fmsci Indian National Drag Racing Championship for two-wheelers at the MMRT here on Sunday. Muddappa topped in the Unrestricted, 1051cc and Above, and 851-1050cc classes. In the four-wheeler category, another Bengalurean, Vivek Ramachander (Tune O Tronics) emerged the fastest as he took the honours in the Unrestricted class besides winning the Indian Open (Stock Body). 4-Wheelers – Unrestricted: 1. Vivek Ramachander (Tune O Tronics, Bengaluru) (12.953secs); 2. Shubho Ghosh (Tune O Tronics, Bengaluru) (13.059); 3. Radha Selvaraj (Chennai) (13.309). Indian Open (Altered Body): 1. Jayanth V (Tune O Tronics, Bengaluru) (13.251); 2. Radha Selvaraj (Chennai) (13.264). Indian Open (Stock Body): 1. Vivek Ramachander (Tune O Tronics, Bengaluru) (12.999); 2. Shubho Ghosh (Tune O Tronics, Bengaluru) (15.002); 3. D Ashwin (Tune O Tronics, Chennai) (15.187). Indian Touring Cars: 1. Kasha Sai (Arka Motorsports, Salem) (16.076). 2-Wheelers (4-Stroke) – Unrestricted: 1. Hemant Muddappa (Bengaluru) (8.115); 2. Anosh Khumbatta (Mumbai) (8.796); 3. Hafizullah Khan (Bengaluru) (8.977). 1051cc and Above: 1. Hemant Muddappa (Bengaluru) (8.369); 2. Anosh Khumbatta (Pune) (8.881); 3. Hafizullah Khan (Bengaluru) (9.490). 851-1050cc: 1. Hemant Muddappa (Bengaluru) (8.305). 361-550cc: Deepak S (Bengaluru) (12.515); 2. Mohammed Rafiq (Bengaluru) (12.858); 3. Harshil Thakur (Mumbai) (12.930). 226-360cc: Shankar Guru (13.963); 2. Shahinsha R (16.251); 3. Ahamed Vasin (16.458) (all Chennai). 166-225cc: Deepak S (Bengaluru) (14.194); 2. Faraaz Akhter (14.341); 3. Rayyan Sheikh (14.407). Upto 165cc: 1. Jagan Kumar (Chennai) (14.648); 2. Aravind Ganesh (Chennai) (14.712); 3. Gowtham R (Bengaluru) (15.491). Upto 165cc: 1. Aravind Ganesh (Chennai) (14.712); 2. Shanker Guru (Chennai) (15.701); 3. Kaleem Pasha (Bengaluru) (18.911). 2-Stroke –131-165cc: Hussain Khan (Mumbai) (12.653); 2. Kaleem Pasha (Bengaluru) (13.241); 3. Syed Naeem (Bengaluru) (13.589). Upto 130cc: 1. Hussain Khan (Mumbai) (13.436); 2. Kaleem Pasha (Bengaluru) (13.467); 3. D Suresh Kumar (Chennai) (13.866). Chennai, August 19: The schoolboy from Bengaluru Yash Aradhya marked his first season in the MRF F1600 class with a maiden win in the fourth round of the MRF MMSC fmsci Indian National Racing Championship at the MMRT here on Sunday. Aradhya, who celebrated his 17th birthday last Friday, started Race-3 from third position on the grid, but within two laps, hit the front, getting past pole-sitter Goutham Parekh and Sandeep Kumar before defending his position to score a fine win. Earlier, Parekh comfortably won the in Race-2 of the MRF F1600. After this weekend’s triple-header, Raghul Rangasamy (134), following his win in Race-1 yesterday, leads the MRF F1600 championship, ahead of Parekh (129), Ashwin Datta (110) and Sandeep Kumar (109). The winner of the championship will earn a ticket to the Mazda Road To Indy shootout in the United States later this year. The second race of the Indian Touring Cars class witnessed another tight battle between last year’s champion Arjun Narendran (Arka Motorsports) and Arjun Balu (Race Concepts). The two Coimbatore drivers were locked in a titanic fight with Narendran, who had finished second behind Balu in yesterday’s first race, managing to avenge that defeat, but not before the two came together twice in the eight-lap race. Balu, who led initially after starting from pole position, ran wide after a contact with Narendran who then survived another brush towards the end of the race. With another two races to be run in the final round of the championship next month, Bengaluru’s Ashish Ramaswamy (Arka Motorsports) continues to lead with 131 points following two podium finishes this weekend while Balu is placed second on 111, followed by Nikanth Ram of Arka Motorsports (98) and Narendran (93).